Mulago Hospital is the "National Referral Hospital" in Uganda. It seems that we are getting to know our way around the place much better than we would ever want to. Mulago is a large campus with multiple buildings and "wards". This hospital has the best collection of medical specialists in Uganda, and in some of the countries that surround Uganda. It is by no means fancy or state of the art, but it is where the sickest of the sick go for treatment. Jayne noticed this trash can at Mulago. This is Jayne's hand with the camera looking into the trash can. 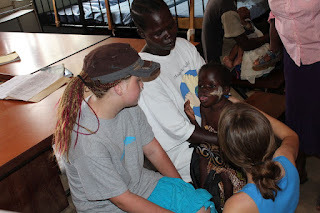 We have visited there twice with Tendo, and she will be returning on May 9th to check in for her surgery on May 11th. We have visited 3 times with Nakiganda. We are supposed to go check on her today and perhaps do some blood work through Wentz Medical Center. Jamil, our friend with the eye tumor, is finishing his second week in Mulago ward 1A after having his eye surgery. We have visited him several times. He and his uncle Joseph love to go to the canteen and enjoy some soda or juice, and usually a big meal. Jamil has come to know us better and lights up when the kids walk into his room. He has been sitting in a room with nothing to do for almost 2 weeks. Most of the eye ward is one big room with 40 or so beds lined up next to each other. I guess, because he is a child, they gave him a room off to the side with 2 beds. This has provided more privacy, but more boredom. I HAVE A SERIOUS PRAISE REPORT WITH JAMIL! While we were visiting (Friday), he told us that he had seen some light through his operated eye when they changed his dressing that morning!! In case you don't know, we have been praying that Jamil would regain sight in the right eye. He has not been able to see out of it for 3-4 years, because of the tumor. To make sight more of a miracle, the doctor had to remove his optic nerve (the eye's connection to the brain) to get all of the tumor. So there is NO anatomical reason for him to see light through that eye. Just a supernatural reason! I talked to Dr. Agaba yesterday, he has kept Jamil longer than anticipated because he has a blood collection behind the eye, where the tumor had been. He is not worried about him, he just doesn't want to send him back out to Palissa until things are more healed. He might be able to go to Pastor Fred's house in Kampala on Monday and stay there for several more days before going home. Please keep him in your prayers. We are still praying that sight restoration occur. We think that this could cause a groundswell of faith in those that have cared for him in the hospital, in Jamil's family, in Jamil's village, and around the world because of you and I telling everyone we know. We took Joseph to Mulago on Thursday to meet Dr. Tumweheire Greg. Dr. TG is an ENT specialist at Mulago. We got a CT of Joseph's head and sinuses prior to going for this appointment. It was cool that Dr. TG did not even ask for or look at the CT. He asked the history, did an exam, and then told us that he thought it was a Burkitt's Lymphoma. This is a malignancy that is known to be in Africa near the equator. It is many times related to decreased immunity from chronic malaria or HIV, allowing the Epstein Bar virus (the same one that causes mono) to cause a cancer in the lymph system. Joseph and his father, Ellya, went home to Mytiana on Thursday night, and then returned on Friday to meet us at Mulago again. We got Joseph checked in and he will have a biopsy on Monday to confirm the diagnosis. If it is Burkitt's Lymphoma, we are told that the treatment is chemotherapy. With chemotherapy, the survival rate is 20%. I have to admit, 20% is better odds than I was thinking after we got the CT on Wednesday night. I told Dr. TG, that for Joseph, his odds are either 100% or 0%. Since we are circling the prayer warrior wagons around him, I think Joseph is going to be a 100% cure! This process of treatment will be complicated. We are leaving for a 9 day trip to SW Uganda on Monday, hopefully after the biopsy. The biopsy can be left for pathology at Mulago, but will take about 3 weeks to get back. It can be taken to a private pathologist in Kampala and we can get results much quicker. The medical team, from New York, that originally found Joseph, will try to have someone at Mulago on Monday, but they are flying home on Monday night. If it is Burkitt's, I think that Joseph will be taken directly to the cancer treatment ward. He will then have 4 months of chemotherapy. This will require trips back and forth to Mytiana, and some further stays in Mulago. Please pray for healing in Joseph and that logistics for his family, without resources, can be accomplished. Even more so, please pray for Ellya (Joseph's father). We don't think that he is a Christian. Jill asked him where he got the strength to take care of 4 kids after his wife died, and he said from his children. When we left Ellya and Joseph at the hospital yesterday, Joseph was crying because he did not want us to leave. I am sure that it is hard for Ellya and Joseph to be in Mulago, as this was the last place that they saw Joseph's mother. We are going back to visit Jamil and Joseph on Sunday. Thank you for remembering them in prayer. We have just returned from a great week in Namatumba. This is a small village west of Kampala and about 40 minutes out into the rural areas (Nat Geo Africa) around Mityana. 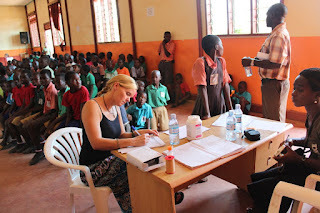 We did school children screening on Monday and Tuesday, seeing about 300 patients. 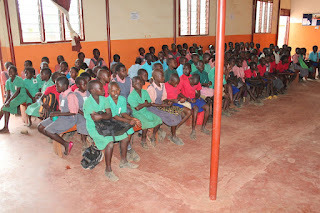 On Wednesday, we provided health education to the parents of the school children. We stayed in a hotel in Mityana. There were two other groups from the US staying there. We got to know them a little and were introduced to the work that they were doing. One team, that was from New York, was doing a medical clinic in Mityana. One of their group approached me this morning and asked me if I was "the doctor". I guess my grey hair and frown lines gave me away! She said that their team had met a young boy, named Joseph, the day before in their clinic. He was noted to have a mass or swelling in his face. They did not know exactly how to proceed and had come to me for advice. Since we had a short day today, I asked them to find Joseph and bring him back to their clinic. Our team would then stop by their clinic on our way back to Kampala. They were able to find Joseph and he was at the clinic when we arrived. His father, a widower for almost a year, has 4 children, the youngest of which is Joseph. Joseph had a "swelling" on his face noted about 9-10 months ago. It was "treated" a couple of times by local health facilities. Eventually, he was given a diagnosis of cancer and a biopsy was recommended. His father could not afford the 100,000 shillings ($40) that was needed. So the mass has continued to grow. At first look, we felt like Joseph was one of our "starfish" that God had placed on our beach. He had a palpable mass below the R eye, that caused some bulging of the eye (much less than Jamil, but noticeable). The mass could be noticed on the L cheek as well. Lymph nodes were swollen under the jaw on the left and right. We had such a short day planned on Wednesday, that we were not sure why we spent an extra night in the hotel, but God quickly showed us why we were in Mityana on Wednesday! We had one seat left in our van, so we offered to take Joseph and his father back with us to Kampala. The team from New York made plans to care for the other 3 kids that would be left at home. When we arrived back in Kampala, David dropped Jared and I, along with Joseph and his father, at the imaging center. We should get frequent flyer miles there. We got a CT of his head and sinuses. We did not get good news. The radiologist came out and told me that he had never seen anything like this before (never a good to be the first for a 50 year old radiologist). He thinks that it is a malignant tumor arising from the sinuses, but he says it could be a fungal infection that is spreading and destroying bone. He has seen fungal infections like this before, but only in adults. I asked the radiologist for a referral of a good ENT surgeon. He gave me several, but only one had a phone number in the doctor book that the imaging center had. So I called Dr Tumweheire Greg, on his cell phone, at 8:00pm. He answered and I proceeded to tell him the story. He offered to see Joseph at his Mulago office at 9:30 am in the morning. So Joseph, Ellya (his father), and our friend David are having a sleep over with us tonight. David was gracious to stay with us to allow us to communicate with our new friends. They only speak Luganda. Please hit your knees for Joseph. Pray for a miracle for this beautiful 5 year old boy. It appears that the second best prayer is that it be a fungal infection that could be cleaned out, then treated with anti-fungal medicines. I am concerned that if it is a tumor, there will be no way to resect it. I will update as I have more information. Thank you for your prayers. We are leaning on God. This could be a tough one. We have just completed one of the most gratifying weeks since we have been in Uganda. A few weeks back, while in Gulu, we met a new friend named Kent Forester. We were introduced to him by Todd Vinson, our friend from Chandler, OK. Through talking with Kent, and sharing a dinner with he and his family, we made a plan to take on this Kitgum project this week. 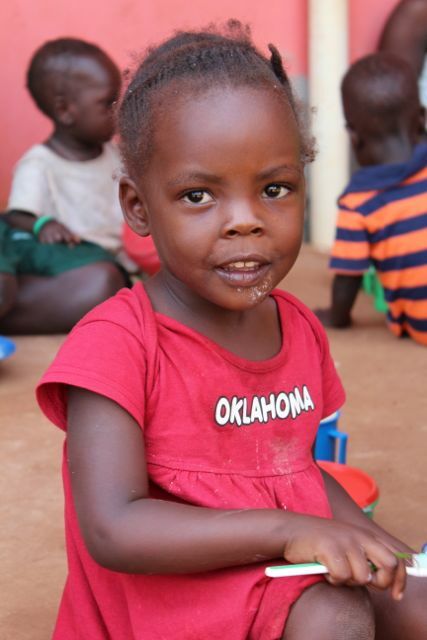 Kent is associated with Antioch Church in Waco, Tx and has been in Uganda for a couple of years now. One of the priorities of Antioch, and Kent, is to disciple people in the faith. This strikes close to home with us as we feel that discipleship is very much needed in Uganda, as well as the US. 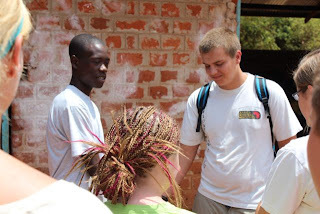 Kent has been pouring into a man named Patrick, who is originally from Kitgum. 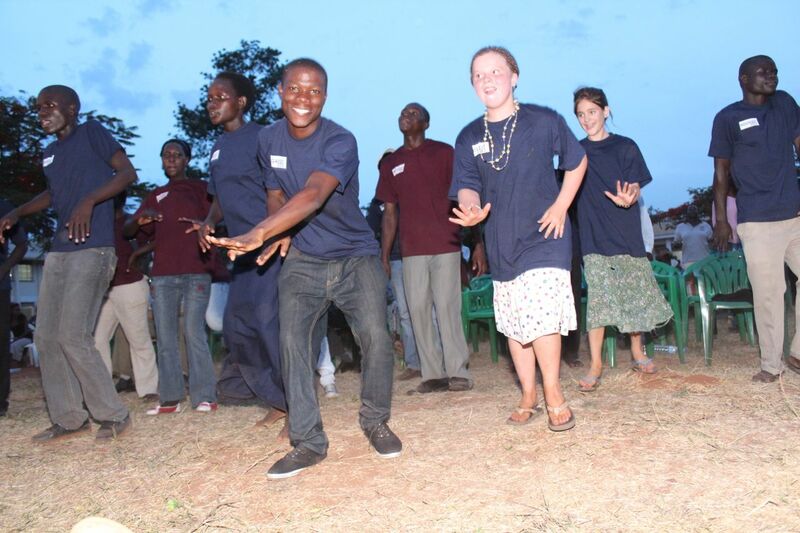 Patrick and some US young people have been spending one week each month in Kitgum, discipling other new believers. The numbers of people in small groups in Kitgum have grown to the point that they have started to meet corporately on Sundays and they are launching a church. The Due Unto Others role this week was to provide a medical clinic to draw the community into the compound where the church will meet. We, along with the rest of the team, were trying to give the people of Kitgum an awareness of Who Christ is and the opportunity to become fully devoted followers of Christ, through this church plant. 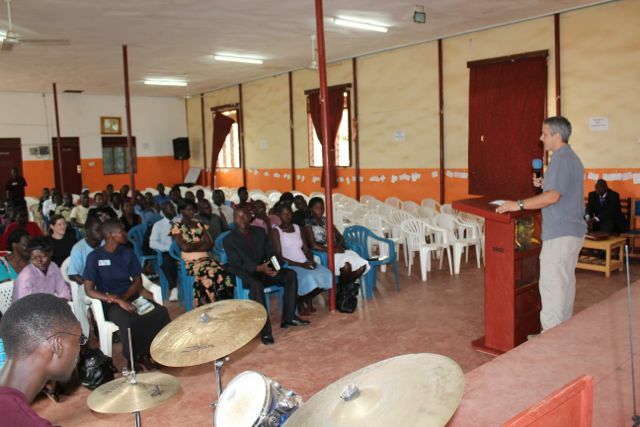 Antioch wanted to use this introduction, to so many people in Kitgum, as the vehicle that could help them find leaders and new converts to get the church off the ground. 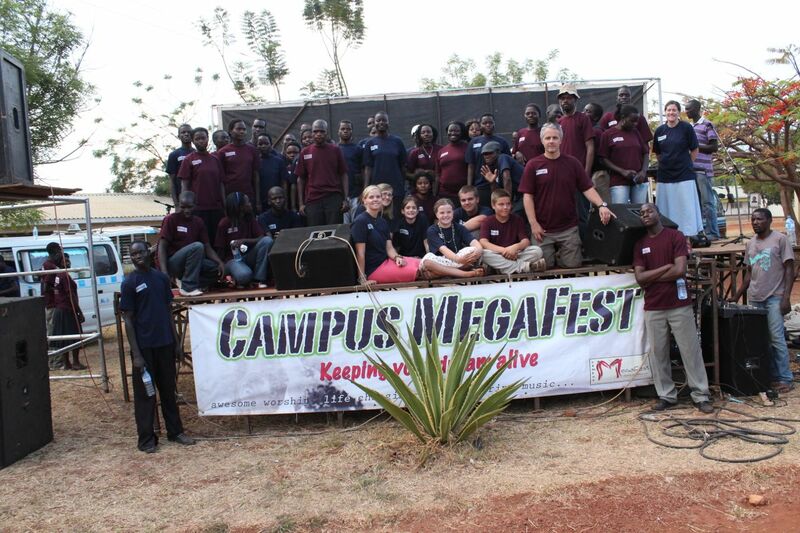 There is a group of 8 college graduates from the US that are in Uganda for 8 months. They have been working with Kent in Gulu, and in other small areas like Kitgum. Because they have spent a lot of time in Kitgum, in the past 7 months, they know the place pretty well. They helped us pull off the clinic this week. It was a pleasure to get to know them and get a feel for their passion for Christ. Each morning, they meet at 9:00 am for worship and a short devotional, trying to allow God to fill them before they go out to pour out themselves to others. We saw about 480 patients over the 4 days of clinics. The local people would show up early to get in line to be seen. On our last day, people had even camped out over night to make sure that they had a place in line the next morning. We exhausted many of the meds that we had brought and had to make a run to the local pharmacy to restock on some things. Kent and his team staffed registration and the prayer room. They encouraged many people and saw multiple salvations through the week. Everyone was invited to join the new church for prayer and worship next week. Kent’s team also prepared beans and rice for our patients each day. This was a blessing and was well received. Our family (including David) took care of the pharmacy, we did some dish washing and played with the children. We also got to act as ambulance, as we took a lady with a back injury to get an x-ray in town. I was joined by Julius, a local physician, on Monday, Wednesday and Thursday afternoons. On Wednesday night, many of the team came over to our hotel to eat left over beans and rice from the day’s clinic. As they were preparing to leave, we got the pleasure of witnessing something that most western visitors don’t get to see. The ants that form the huge ant hills here came out to mate. They fly with large white wings and swarm out to find a mate, then burrow into the ground and start a colony and live for 20 years (seems like a long time for an insect). This happens for one day, twice per year. The ants are like manna from heaven as the people love to eat them. So we made this video while having “ant ball” fights, many others came with brooms to scoop them up by the bucketful. We asked kindly and the staff at the hotel made us some enswa. 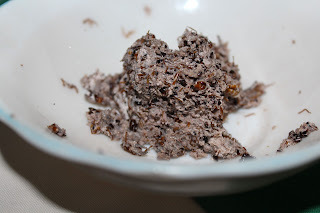 This is ground ants that they eat with posho. I am told that the better way to eat them is fried, but we did not get the chance. All of us but Jayne gave it a taste. No one got sick, no one thought that they were good, and I would need to be a whole lot more hungry, than I am now, to eat them again. My second new friend is named Isaac. He is a 10 year old boy with HIV since birth. He was brought in by his grandmother (I am assuming his mother is dead from HIV). He caught my eye because he was wearing a lime green, pin-striped suit coat with shorts and football (soccer) cleats. This little guy brought me more joy than anything else this week. I hate to do this to you, but I am going to save his story for another blog. There is a video that goes with his story and I want to get it ready first……stay tuned. I have written this blog on our 7-8 hour journey back from Kitgum to Kampala. 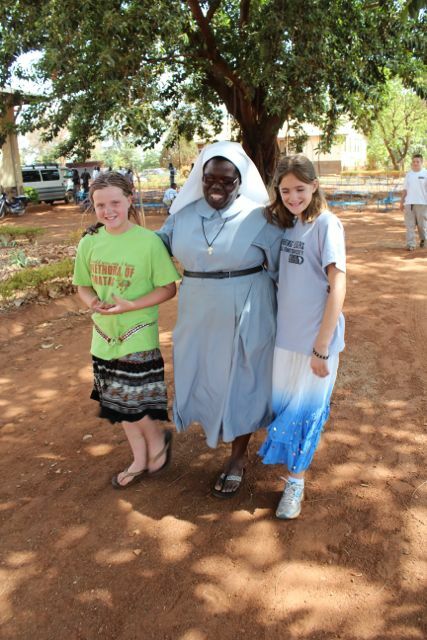 We stopped for about an hour in Gulu to empty and fill our tanks and to drop by and say hello to Sister Rosemary. Then we traveled to Mulago Hospital in Kampala to visit Jamil. He seems to be doing well. When we went in to his room he was asleep. He woke up and greeted us. I asked him if there is anything that he needed and he said something to drink. So we got him up and walked down to the canteen. We got him some juice and soda. We sat in the canteen and visited for a while. His family is hopeful that he will be able to go home from the hospital by Sunday. I have a quick update for you. We are in Kitgum this week. This is about 2 & 1/2 hours NE of Gulu in northern Uganda. We have been the medical part of a community clinic on Monday and Tuesday. We have seen 178 patients so far. This has been well received, as we are trying to draw people in to a new church that is forming in this city. We will be doing the same thing on Wednesday and Thursday too. It is 9:30pm in Uganda, and we are celebrating Jamil's surgery today. I talked to Dr. Agabe late this afternoon. Jamil the day before surgery. Jamil came through the surgery well, and Dr. Agaba feels that the tumor is benign, but pathology will tell us for sure. It (the tumor) was wrapped all around the optic nerve, so it had to be removed as well. This necessitates that Jamil will not regain vision in the right eye. His eye has been salvaged, so once all is healed, his eye could appear pretty normal. Fred is supposed to be sending me some pictures, and I will post them to this blog when they arrive. Thank you for your prayers for Jamil. I am praying that his healing and this display of God's love to him by many of you, will allow for talks of Jesus with his family. Update 4/18/12 I talked to Fred tonight. He said that Jamil is doing well. He is eating well and is sitting up. He still has on a compressive dressing. He will likely be able to go home on Saturday. Today’s blog will be an update on one friend and an introduction to another. I described Jamil and the eye problem that he has in this blog, about 10 days ago. Ten year old Jamil and an adult cousin took the bus from Palissa to Kampala on Thursday. This is about a 4 hour journey from the bush to the capital city. They stayed with Fred, a gentleman that is a friend of Jamil, and actually started a private school in Palissa. Jamil is not presently attending school because of the problems with his eye, but is a good candidate to do well in school. This private school offers a better education than the government schools in the Palissa area. One note while we are here is that even though they are “government” schools, children still are required to pay tuition. This is usually about $40 per year. This sounds cheap enough, but if you make $1-2 per day and have 6 kids, it is not easy. So there are many kids that don’t go to school or only go through a few years and then their tuition money is moved to a younger sibling. We met up with Fred, Jamil, and his cousin at an imaging center on Friday morning, to get a repeat CT of Jamil’s head/eye. This took us 2 hours to complete, and then another 3 hours to get the reading and the films to take with us. I had called Dr Agaba, Jamil’s ophthalmologist, and he advised me that he would be in the office until 6:00pm. We were able to head to the office at 5:00pm, worried if we could make it with Friday afternoon Kampala traffic. We considered putting Jamil and Fred on a Boda-Boda to allow them to make it there faster, but traffic started to move and we got to the office by about 5:40. According to the CT scan and Dr. Agaba, the tumor behind Jamil’s eye appears benign, but has grown by 25% since September of last year. He said that the tumor involves the optic nerve, so restoration of his vision in the eye does not seem promising, but the eye should be preserved. We advised Dr. Agaba that we were praying for Jamil to have vision in the eye, after surgery, and that he should not be surprised when it happened! We were shocked when Dr. Agaba said that he could do the surgery on Tuesday. So rather than sending Jamil home, we signed him up for a life changing operation, he is staying with Fred, and will check into the hospital on Monday. Please continue to pray for Jamil’s healing and for his vision in the affected eye to be restored! As we left the doctor’s office, we headed back out into Kampala traffic. I was driving, stuck at a traffic circle. Jamil was sitting right behind me looking out the window. We were stopped next to a “street preacher” who was getting all lathered up, screaming the gospel in Luganda. He stopped right in the middle of a sentence and looked at Jamil, then looked at me and said “that boy is going to be healed”! I told him that we were praying for that and working on that. The street preacher then said, “Jesus is alive, you just have to believe that he will be healed”. The traffic started to move and we drove to let Fred, Jamil and his cousin off at their stop. We are going to be in Kitgum this week, and I am selfishly disappointed that we won’t be at the hospital when Jamil comes out of surgery or starts seeing with his right eye again. Fred is going to make sure that Jamil gets checked in on Monday, and then will take pictures and give us updates daily. Jamil should be in the hospital for 3 days after surgery. Due Unto Others supporters are making a huge difference for this young man. Thank you. The new friend that I would like to introduce to you is Benjamin. This young man is 10 years old now, but at the age of 5, he was dumped in the “bush” by his parents because he had started to develop a skin problem that caused sores and scars all over his body. Many times, when a disease like this occurs, the family thinks that the child is cursed, and the hurry to get rid of them. A lady in Kampala saw an article about Benjamin in the newspaper, and felt God calling her to make Benjamin “her business”. He has been staying with her for 5 years, and continues to get recurrent lesions that are painful, and then they scar over. He has about 50% of his body covered with scars. He was seen once by a doctor in Kampala, but did not get a diagnosis, and was offered a medicine that was too expensive for her family to afford. When I first heard about Benjamin, I just heard that he had skin sores, so I thought we should be able to treat him pretty simply. But as I have mentioned above this is a complicated, chronic issue. When I examined Benjamin, I took some pictures and started him on some medicines to prevent infection. I have since, emailed a medical school classmate of mine, Creed Stewart, in Sherman Tx. I got a long distance consult from him, and among other possibilities, the one that I think is most logical is leprosy. Leprosy is a rare condition, but could very well be the cause of this boy’s problem. I will be encouraging his mother to take him to a skin specialist at Mulago with the intent of getting a skin biopsy and culture. This should tell us the exact diagnosis. This may be another specific opportunity for Due Unto Others supporters to make a difference for a child. Leprosy can be treated with 6-12 months of 3 antibiotics. These can be expensive, but I will keep you updated as we move forward with him. Please pray for Banjamin and his skin problem specifically. We are going north of Gulu to Kitgum this week. I will bring you updates on our clinics there and on Jamil this week, if I am able to get internet access. Does God ever talk to you through your iPod? I need to tell you about my morning in Uganda. I got out of our apartment compound about 7:00am and started walking up the dirt road. I like to walk for a while to get my feet and legs loosened up before I start running. I was listening to the Zac Brown Band singing “Toes”, but I was thinking about my feet. As many of you know, I was born with clubbed feet. My feet were twisted inwardly and my toes towards my head, so that my “ankle bone” was pointing straight down. I was thinking about my feet, first of all, because they creak and moan until I get loose when I go out for a run. The second reason that I was thinking about my feet is because of a girl that I saw in Buloba this week. Tuesday and Wednesday, we went to Buloba, a rural suburb of Kampala to the NW, and did health screenings on the 250 school children there. They are a delightful bunch, and we enjoyed our time there. One girl I met there is named Ritah. She is 12 years old and the reason that she made a mark on me, more than the others, is because she had clubbed feet. Unlike me, however, she did not have the medical care access, determined parents, and a Dr. Amspatcher available. She gets around slowly, walking on the outside of her feet, down near the little toe. She is happy and well received by the other children in Buloba, but I was thinking about Ritah as I headed out for a run on my surgically repaired feet. At 7:00am in the morning, many children are walking in our neighborhood, on their way to school. I had smiled and talked to several of them as I was walking to get loose. Don’t get me wrong, I am never a graceful runner, but as I first start running, I hitch and limp and stumble as I get my joints lubricated. Jill’s Uncle Edward (a great American philosopher), once told me that “Some people are built for running, and some are built for pulling. And you are built for pulling”! So here I am the grey haired white guy, looking quite awkward as I start my run. Just then, Weird Al starts to sing “White and Nerdy” to me. I thought that was funny, until I got about 100 yards into my run, and 3 boys (probably 8-10 years old) started to run with me. I was hoping that none of them would ask, but then they did, “what are you listening to”? I quickly realized that I did not want to tell them that I was listening to Weird Al, but I am so uncool, that I did not know what cool lie to make up to tell them. I mean, who would they think was cool to be listening to? I skipped to the next song, Miley Cyrus singing “The Climb”. Uggh! I am not going to look cool on this one at all! I played off the question and the boys stopped running when we came to their school. I started listening to Lecrae’s “Hallelujah”, as I continued my run. One of the lines in this song says, “I’m not here to IMPRESS, I’m here to IMPACT”! Ok, now God is talking to me through my iPod. I get it. I should be less concerned about trying to impress people (especially these 10 year old boys), and more in to impacting people for Christ. We are called to be set apart and to be different, not to fit in or impress. As I continued my run, which is no longer on a treadmill but on a dirt road with hills and potholes, I thought about the race that I am running and how I could improve it. I concluded that I need to pray for wisdom of ways to impact people, in any way that He sees fit. It is ok if I look like a “puller” while I am running, because it is not about style, but substance. I was agreeing with what God had told me, when He decided to make sure that I understood that it does not matter what people think. As I was running under a tree, that hangs over the road, I felt something warm hit my forehead, my left wrist, and my left leg. I looked down, and there was bird poop all over me! I was about ¼ mile from home, with all of the school kids still making their way to class. Point taken. I could not decide what to name this blog. With my Nike running shirt, I thought about naming it Just Doo it. Instead, I decided to name it Doo ON to others! I hope you Impact someone today! We put together a video that shows some highlights of our second month in Uganda. Thanks to our friend David Gitta for his excellent work on this video. Hello and Happy Easter to all our friends and family around the world! I wanted to take a second to share something that God has been talking to me about. Phillipians 2:6-11 says, "Who, being in very nature God, did not consider equality with God something to be used to his own advantage; rather, he made himself nothing by taking the very nature of a servant, being made in human likeness. And being found in appearance as a man, he humbled himself by becoming obedient to death - even death on a cross! Therefore, God exalted him to the highest place and gave him the name that is above every name, that at the name of Jesus every knee should bow, in heaven and on earth and under the earth, and every tongue acknowledge that Jesus Christ is Lord, to the glory of God the Father. I can't get past the fact that Jesus was God, sitting in His rightful place on the throne of heaven. Then out of love for us, took the ultimate downgrade and went from God to human birth, into a poor family in a barn. He did not, and still does not owe us anything, yet he gave up everything that He had going for Himself, and because of His love for us, He decided to offer us a second chance. A supreme sacrifice for an undeserving mankind to have a second chance. How is this even a choice for us? How arrogant are we that we have to "decide" if we should take His second chance offer? On our first trip to Jinja, a few weeks ago, we attended Pastor Henry's church, the Life Giving Streams Tabernacle. During the service, Henry introduced us and talked about the work that we were participating in, while in Uganda. Henry said something that made me feel uncomfortable. He said that I was a doctor in the US, and that in the US, physicians are among the highest paid and respected professionals. He continued to say that I had "humbled" myself to come to serve the people of Uganda, without pay, and the only reason that he could think of was because I loved the people of Uganda. Now part of what he said is true, but some things we could debate. What made me squirm was the picture he painted of me was similar to that of Christ in Phillipians 2:6-11. That is not something that I would ever feel comfortable with. I don't think that I "humbled" myself at all. In fact, I (and our whole family) have been treated with more honor and respect than would ever see (or deserve) in the US. Sometimes, despite our humble surroundings, we have to work at humility here. Henry was right in that one of the reasons we came was because of our love for the people of Uganda. It was also because of our love for the One that humbled Himself to become human, then sacrificed Himself on Good Friday. John 15:13 says, "Greater love has no one than this: to lay down one's life for one's friends." I awoke to this sight this morning. I was reminded that the story of Christ did not end with Him being humbled and sacrificed! The great Highway, Oklahoma philosopher, Brad Allen, preached a sermon called "It's Friday, but Sunday is coming"! The Christian band Tree63 made Brad's sermon into a song "Sunday is Coming". Have you ever had to miss a big ballgame that yOUr favorite team was playing in, and recorded it to watch later? When I do this, I have to make extreme efforts to make sure that I don't see the score, hear the score or even see someone's facial expression that knows the score. Why? Because if I know the outcome, I don't have to fret over the ending as I watch. There is no suspense there. One time I almost lost my Christian witness as Jill had hosted a shower at our house and the boys and I had gone to the ranch to do some work. I recorded a game, with the thought that I could watch it when I got home (skipping commercials and half time of course). When we got home, just a couple of ladies were remaining, and I purposefully said that I did not want to know scores or anything about the game because I was going to watch it. Some woman, that I did not even know, piped in with "well they were behind early.." I shhhhhed her. She continued. "but my husband told me...." I all but had to throw her out of my house. Quite embarrassing. I digress. All of that to say how Easter gives us hope and confidence because we know the final score. Our lives are not boring or easy, but we should not have the same suspense or angst that we might if the game was playing out in front of us. I want to celebrate Easter because we know that Christ Arose and His spirit lives in those of us that believe. He came to us humbled, but ended up the hero! I have included a video for your enjoyment. The camera work is not so good, as I was using my iPhone in church, but I think that you will recognize a spicy version of an old hymn. All in favor, say "Eye"! We have spent the last three days in Jinja. We left our new apartment early on Wednesday morning and went to Life Giving Streams Tabernacle in Jinja. This is the church that our friend, Pastor Henry, leads in Jinja. This is also the location of my first exposure to this great country in January of last year. On Wednesday and Thursday, we saw children from the Good Shepherd school that is associated with Pastor Henry's church. 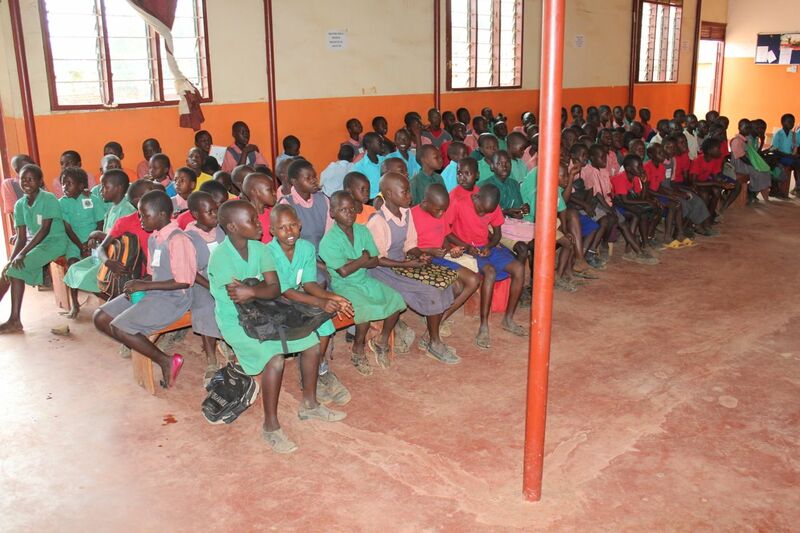 We saw about 420 kids from the school, before they were released for the Easter Holiday. Two kids Jayne was able to lead to Christ. On Friday, we saw people from the community surrounding the church. We were able to care for 80 community members and we saw 7 professions of faith through this Friday clinic! We had to close the clinic a little earlier than we normally would so that we could get back to Gaba. David is involved in a Good Friday presentation at church, and needs to be there by 5:00pm. This trip was a diversion from our normal schedule that we are following with the Renewal Health Network (RHN). They do not have a relationship with Pastor Henry, but they were more than happy for us to spend the time and supplies to go help another Christian doing good work for the Kingdom. This is one of the many things that we love about RHN, Africa Renewal Ministries, and Gaba Community Church. They understand that we (Christ followers) are all on the same team! Pastor Peter, the head of all three of these ministries, has done an outstanding job of instilling an understanding that there should not be competition between Christian organizations. We appreciate this tremendously! One of the most exciting parts of our trip was meeting a 9 year old boy named Jamil. We had heard of Jamil from a friend in Gaba. This friend had met Jamil while on an evangelism trip to Palisa. Palisa is about 100 km East of Jinja. That makes Jinja about half way between our home and Palisa. We had made phone and email contact with an adult friend of Jamil's and had arranged for him to come see us while we were in Jinja, so that his drive would be shorter than traveling all the way to Kampala. Jamil has a tumor behind his right eye. He lost vision in this eye 3-4 years ago, and it causes him some significant pain at times. He was seen, in Kampala, last year in September. He had a CT scan and was told that he needed to have a surgery to remove the tumor, and likely the right eye. After making the trip to Kampala (4 hours) and paying for his doctor's visit and CT scan, there were not enough funds to move ahead with the surgery. The adult friend, named Fred, was able to get Jamil to Jinja last night about 7:00 pm. We had gone to dinner, so they just met us at the restaurant. Fred splits time between Kampala and Palisa. While in Palisa, he helps with a school project there. Fred had a business associate with him and was continuing on to Kampala last night. Jamil was also accompanied by an uncle named Pious. Jamil and Pious joined us for dinner, ordering about 30 minutes after we did. Our food came before there's, so I gave Jamil half of my fries and Jake gave him 2 pieces of pizza. When his food arrived, Jamil ate a large plate of rice and a bowl of chicken stew. He is an eating MACHINE! After dinner, we took Jamil and Pious back to our hotel and got them a room for the night. After showing them how some of the modern things in the room worked, we left them for the evening, a little concerned that Jamil might have some stomach upset from his eating! The next morning, we were relieved to know that Jamil had managed all of the food that he had eaten without difficulty. He managed to put a pretty big dent in the breakfast buffet too! This morning I was able to examine Jamil and review his records a little more thoroughly. He has seen a private opthamologist in the Kampala area and this doctor has reviewed the CT, seen Jamil and offered to do his surgery. Jamil is healthy besides his right eye. He has no vision in that eye. I plan to get Dr Martin's help and call the opthamologist by Tuesday (Monday is still a holiday here) and see what we can arrange with them. Hopefully, the eye doctor can look back at the old records and not require another CT scan. I will inquire as to a price for the surgery, and lobby for the doctor to be able to re-examine him and admit him for surgery on the same day/trip to Kampala. This looks like it could be another starfish (refresh your memory on the starfish story) that God has put on our beach. 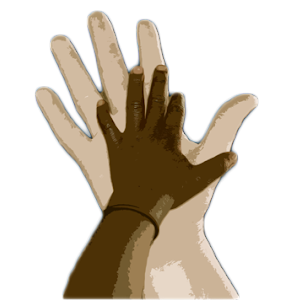 I will be giving more specifics on the need and how our Due Unto Others supporters can help, as I learn more. Please keep Jamil and his family in your prayers. Please pray that the opthamologist will be open to making the transition to surgery easy, even though it has been 6 months since the last exam or CT scan. Since we are praying for Jamil, let's go big and petition our God for sight restoration in the right eye as well. We have seen miracle healings in Uganda already, all in favor of another one, say "EYE"! Thank you so much for your prayers. They are palpable. 2 Timothy 1:7 says, For God has not given us a spirit of fear; but of power, and of love, and of a sound mind". As many of you know, we awoke last Monday morning to the fact that our house had been entered and robbed by someone while we were sleeping. I wrote about some of the specifics in this previous blog post. We were initially shaken, but chose not to allow a "spirit of fear" to change God's plans for us in Uganda. We spent most of last week in Gulu, and used that time to use our "sound minds" to pray about and seek wise counsel on our situation. Africa Renewal Ministries has been quite helpful in helping us through the scenario and they strongly recommended that we move to a more secure location. We really liked our first apartment and our set up with the Gash Family. We enjoyed the services that were provided, allowing us to not have to worry with house chores and laundry after we got home from busy days of medical clinics. We enjoyed some of the "comforts of home" that we had with a pool, air conditioning and exercise facilities. But even with all of that, our "sound minds" had a shift last week. The great American philosopher, David Crowder, says in his song "Shadows", "When Darkness falls on us, we will not fear, we will remember. 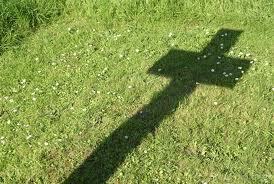 When all seems lost, when we are thrown and we're tossed, we rest in Him, Shadow of the Cross." Jez, our friend through African Renewal Ministries, arranged an appointment for us to look at an apartment that is next door to Wentz Medical Center in Gaba. We toured the apartment on Monday, and were left with a positive impression. The apartment is much more secure for several reasons. It has a small compound with one main guy that is there everyday and is personally responsible for security. There is no passing the buck to someone else. He hands off to 2 armed security guards, when he leaves in the evenings. These hired guards watch the compound, but have no access to the building. To get into the building, you have to have a 5 digit code that is entered into a keypad. There is a German Shepherd guard dog, Kapapalla, that roams the compound at night. Rumor has it, that she does not even like computers, cash or cameras! Our apartment is on the 4th floor, as opposed to the 1st floor that we had before. A would-be robber, would have to scale a wall topped with razor wire, pass the guards and Kapapalla, then figure out some way to get up 4 stories on the outside of the building, then break through the retractable bars to get in our windows. We discussed the move with our family and with the Gash family on Monday night. Tuesday morning, we felt like it was best for us to move. So we spent all day Tuesday moving our stuff and setting it up in the new apartment. Moving was much less of an undertaking than it was in Duncan! We traded our "luxuries in life" for security. We don't have AC, we don't have a pool, we don't have an exercise facility, and we bump into our neighborhood on dirt roads, but security trumped these things for us. Don't get me wrong, this apartment is nice. It has a great view of Lake Victoria, nice grounds, and everything is very new. Our friends and family that are coming to visit us soon, will have a safe place to stay with us, but they may not like the thermostat! Isn't this whole scenario a lot like life? We get comfortable in our "luxuries of life" and some one comes to steal and destroy. It is a reminder to us that we need to seek security in the cross, and not in these luxuries. Many of our luxuries were gone in one evening, and then we chose to give up many others. By security, I don't mean getting into our Sanctuaries (which means safe place) and just staying there with people that we are comfortable with. I mean conforming our lives so that they fit in the shadow of the cross. What God calls you to do may not feel safe or comfortable or luxurious, but there will be security there! You've got to have a "Little Faith"! It is time for a long overdue introduction. I would like for you to meet Faith. She is the Programs Manager of the Renewal Healthcare Network (RHN). We accuse her of being the “Big Boss” but she runs from this title. Originally from Nansana, Faith now lives in Gaba and has her office in Wentz Medical Center. She has planned each of our mission trips and made arrangements for us to stay in hotels, get fed, and have partners to help us when we arrive. She went to University at Makere and obtained a degree in Developmental studies. She also went on to get a Masters in Public Health and Counseling. She has been a part of the Renewal Healthcare Network for 5 years now. When I asked one of her friends what she likes the most about Faith, Julia replied, her character. We like that too, but what I like the most is that she does not take any slack from anyone! Let me give you a little story to show you what I mean. At the end of our first day in Namuwongo, probably the worst slum area that we have worked in since we arrived, we were trying to drive out of the area in our van. The path (not a street) was very narrow and lined on each side by shops or houses. We were doing ok until we rounded a corner and there was a dump truck coming the other way. I was soooooo glad that David was driving! We inched, literally, along to try to get past the truck. We pulled the mirrors in and missed structures and the truck by centimeters. When we were almost clear, a group on the passenger side of the van, started throwing a fit, yelling “you pay”. It seems that we had run over some of a lady’s matooke bananas that she was selling along the path. They caused such a commotion that quickly there were 10-12 villagers coming up to see what was going on. David got out to go see what had happened and discuss this with the upset people. After a few minutes of David arguing his case against the gang of villagers, Faith said, ”let me out”. So all 5’0” and100 lbs of her got out of the van. She quickly figured out that the lady wanted us to pay 25,000 shillings ($10) for the matooke that we had damaged. Faith got down on the ground and searched through the matooke and found 4 bananas that had been damage. She gave the lady 500 shillings (20 cents) and we loaded up and drove off. This was stuff that legends are made of. All of us muzungus were quite relieved that she saved the day, and I think that, secretly, David was too! I have heard many times, that “Faith” can move mountains, but now I believe this, because I have met her! We are glad that when we go out as the Due Unto/RHN team, “Faith” is on our side! Let me update you on our week/weekend in Gulu. We traveled the 6 hours from Kampala to Gulu on Wednesday afternoon. We stayed at the Gulu Churchill Courts Hotel. It was very nice and actually had AC, that we were not expecting. Thursday, we saw about 150 children in the Africa Renewal Ministries sponsorship program at the Gulu Bible Community Church. Thursday afternoon, we had the privilege of meeting Kent Forrester. He is with Antioch church from Waco, Tx. Antioch is a mission minded church that concentrates on discipleship of believers. He has been in northern Uganda for the past 2 years. We were introduced to him through our good friend Todd Vinson, of Willow Springs Boys Ranch in Chandler, Ok. Jill and Jayne had crossed paths with some ladies that work with Kent in Gulu while at a beauty salon in Kampala last week. Kent gave us some insight to the work that God is doing in northern Uganda and it was a pleasure to spend time with him. Friday, we went to Gulu Referral Regional Hospital. 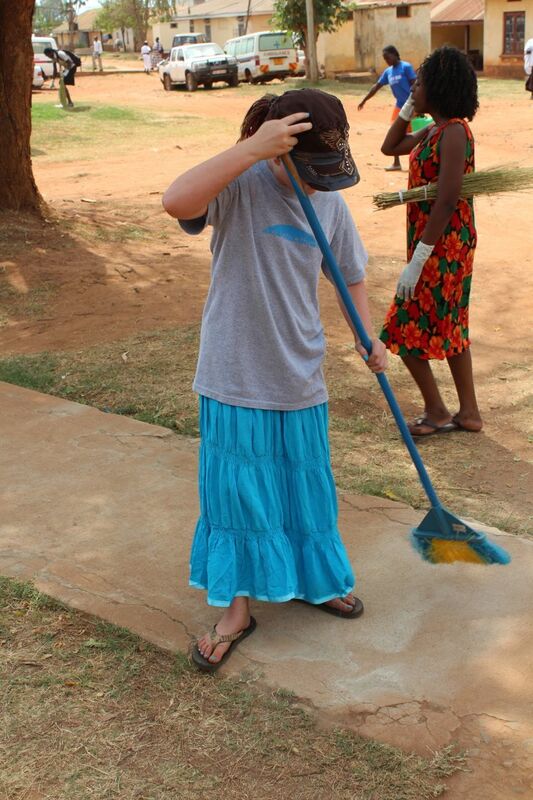 Our team swept sidewalks and picked up trash as a service to the hospital. We then went to different wards to pray with patients and share Jesus with them. The hospital seemed much less busy than when we were there in July, but we found out that this was not necessarily good news. The hospitals had been full until a couple of weeks ago, when they ran out of many medicines. So with few medicines to give, the hospital is operating at 20% capacity. The need is still there, but the resources are not. Friday afternoon, we went to tour Living Hope. This is a project of Watoto Church that is empowering mothers. Many of these women are HIV positive and many more are victims of mutilation by the LRA. They are getting counseling, education, discipleship, and job skills training to make their life have purpose. Friday evening, we went to the Campus Mega-fest at Gulu University. The Due Unto crew provided first aid for the event (thankfully, none was needed). There was praise and worship, then some crusade-type preaching. It was supposed to go from 6pm-11pm, but it started to rain about 9:45 and the crowd scattered. Saturday, we were blessed to meet Sister Rosemary, who runs St Monica’s in Gulu. This place does many things, but among them is training women that were former LRA members or abductees. These ladies are allowed to bring their children with them when they come to class. These children make a day care and school necessary. They have a nice clinic on campus. They are doing some cool things with can flip tops (purses, back packs, belts etc) and they are building houses, using water bottles filled with dirt for bricks. Sister Rosemary has won a CNN Hero award and there is some thought that she could eventually win a Nobel Peace prize for her work in the Gulu area. During the height of the LRA problems in Uganda, St. Monicas had 500 night commuters that stayed in shipping containers on their grounds to stay safe from abduction. Sister Rosemary invited us back to stay with them and work some in their Gulu clinic, but also to travel to Atiak (up near South Sudan) to give them ideas on the new clinic that they have there. We got to go to Restore academy and visit Joseph (Henry's brother) and see the school there. Saturday afternoon, we did a few more health screenings in Gulu. Saturday evening, we went to the home of Kent and Becky Forrester. They made dinner and the adults talked more about the work of Antioch in the north and how Due Unto Others might work with them in the future. The kids had a rousing game of flash light tag! Sunday, we worshipped at Gulu Bible Community Church before heading back to Kampala. I was blessed that they asked me to share my testimony with the congregation there. I type this as we are making the 6 hour journey back to Kampala. We have a big week this week. We are going to take Nakiganda to the hospital to be admitted on Tuesday. 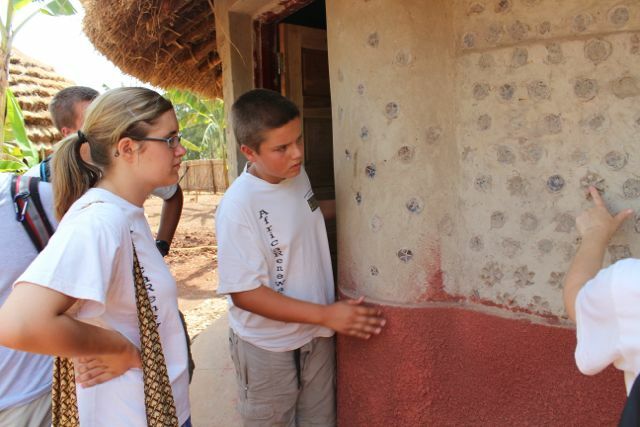 On Wednesday, Micah and Kara will be joining us on a trip to Jinja. Wednesday, Thursday and Friday we will be working with Pastor Henry’s church in Jinja to provide medical care to their school kids and to the community. We will be coming back to Kampala on Good Friday Evening. We are supposed to meet some new friends from Dubai on Friday evening. As busy as we have been, the start of our 3rd month, in Uganda, is upon us. We are seeing God move daily and we feel your prayers continually. Thank you for your prayers and support!